These are the only fossils in the Wooster collection I feel some shame about. They are tridactyl theropod dinosaur footprints. They are not spectacular, but they do the job for classes and visits by schoolchildren. I regret that we have them, frankly, because it means at some time in the distant past (well before me) someone chopped them out of a red sandstone, losing in the process all context including location and age. Footprints like these are most valuable, both scientifically and aesthetically, in their original places alongside the rest of the trackway. 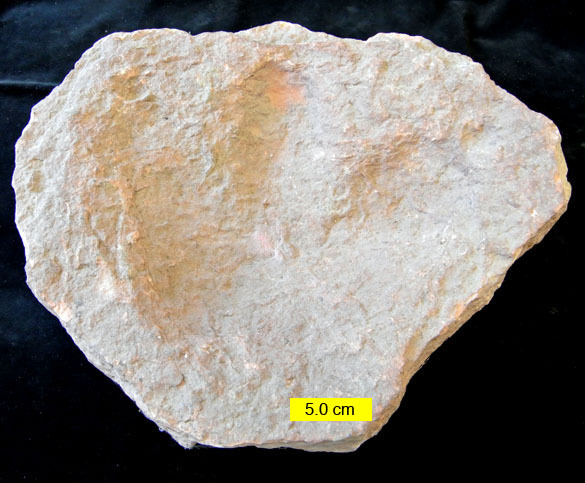 Now I can only guess that these footprints came from the Jurassic of the southwest, probably Arizona or Utah. 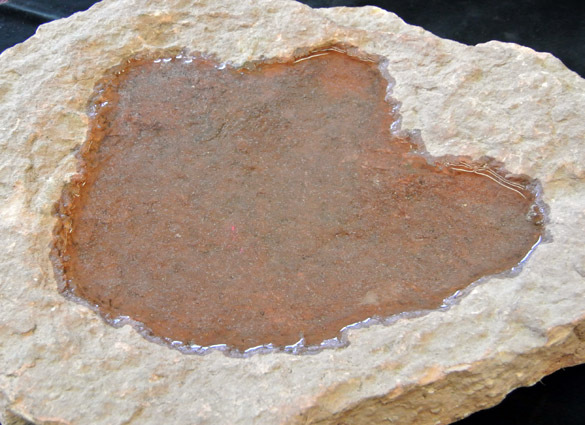 One quick way to see the outlines of an indistinct footprint is to fill a concave epirelief with water, as above. This provides much more contrast. This is how dinosaur footprints should be appreciated: in the field as part of trackways. The kids above are three of my brothers a long, long time ago. 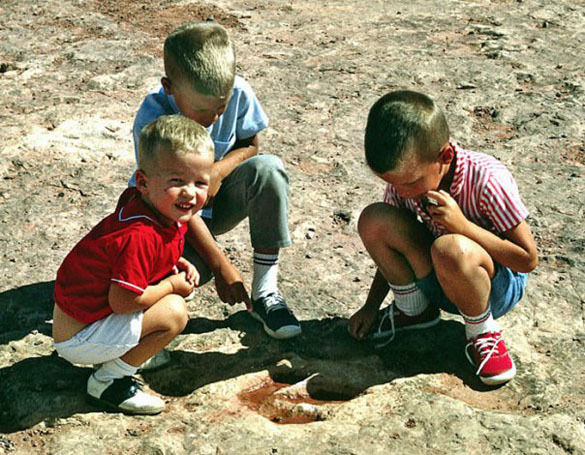 I think this is near Tuba City, Arizona, and these are Jurassic theropod footprints like the Wooster specimens. Note that to increase contrast the footprint is filled with … let’s just say “water”. Miller, W.E., Britt, B.B. and Stadtman, K. 1989. 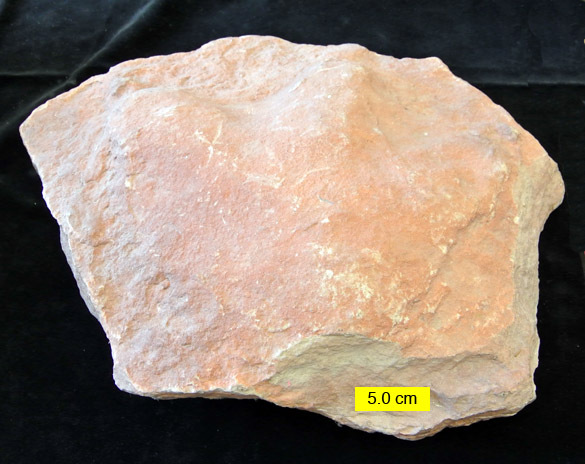 Tridactyl tracks from the Moenave Formation of southwestern Utah (pp. 209-215). Gillette, D.D., and Lockley, M..G, eds., Dinosaur tracks and traces: Cambridge, Cambridge University Press.